I’ve said before that the city of Baltimore was not only a major influence in the creation of the Dark Choir series, but is fundamentally a character in The Curse Merchant. The locations and settings of the novel were directly influenced by individual structures and street corners in the city of Baltimore. Ever since I decided to self-publish The Curse Merchant, I figured I would post up photos of the real world locations that either served to directly inspire specific scenes, or reflect the description of scenes that were written. Now that my blog tour is concluded, it’s a good time to go ahead and put these out there. If you’ve read the book, you may recognize some of these shots. Perhaps some will be more eye-opening. I thought I would start big today… Dorian’s House. “By the time I reached my red brick two-story just north of the Stadium, however, the headache had eased. I checked the street before parking in the narrow driveway. After sunset, the neighborhood couldn’t be described as friendly. 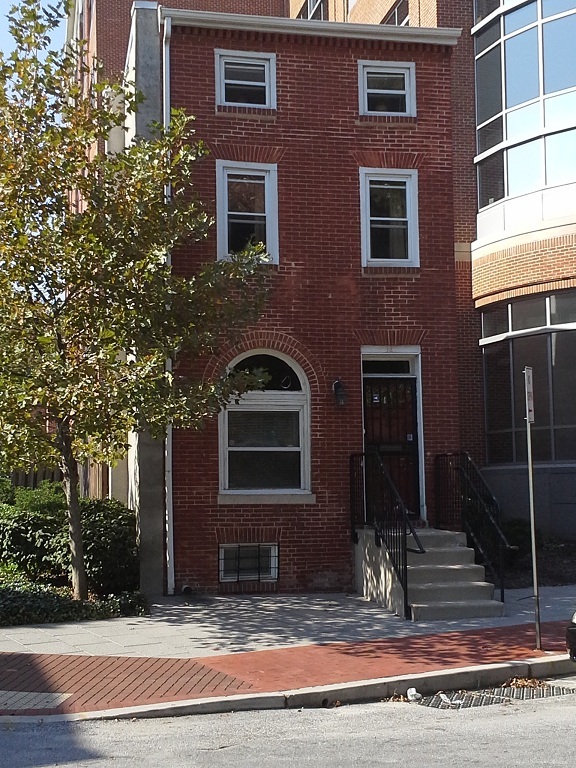 Fun fact: I actually based Dorian’s street address on the Poe Museum, which was the building in which Edgar Allan Poe had once lived. 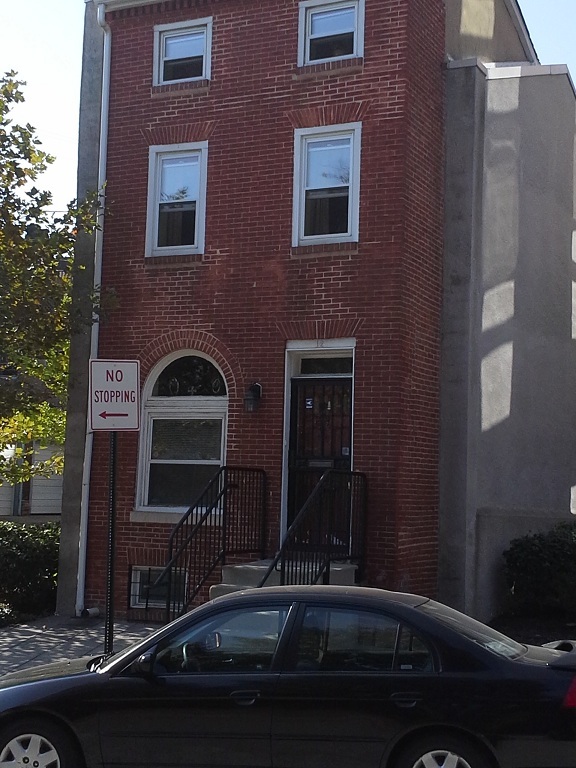 The actual building itself is less representative of my mental picture of Dorian’s row house. When I drove around the corner, however, I found this beauty tucked between a dead-end alley and a modern building, which is something of a theme in The Curse Merchant. The modern city of Baltimore exists oblivious to the ages-old magic rendered at its footsteps. I do note, however, this particular building is a three-story… alas, you can’t have everything. Also, just pretend that car in the foreground is an Audi.